Welcome! This website has a dual personality (a bit like me). First, it is devoted to my fascination with early microcomputers. I was there at the beginning of the microcomputer revolution. I remember when you could build your own computer from scratch, and program it yourself to do what you wanted it to do. It was a time when computers were simple enough so you could fully understand how they worked. Computers then were truly personal, and not a marketing trap controlled by corporate giants. Now you can experience the thrill of these remarkable early systems. 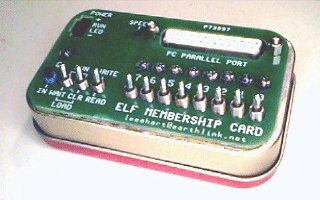 I have developed a number of "Membership Card" microcomputer retro-kits. Each is a complete working computer that fits in an Altoids candy tin. There's one for the Zilog Z80; one for the RCA 1802; and others in development for the Intel 8080 and MOS Technology 6502. Plus a number of other unique hobby ElectroniKits. 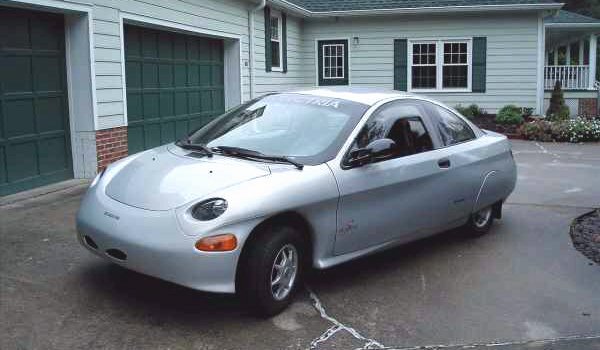 Second, this website is devoted to my life-long interest in Electric Vehicles. The Sunrise Project began with a group of EV enthusiasts to create an affordable, high performance electric kit car that anyone of modest skill can assemble. 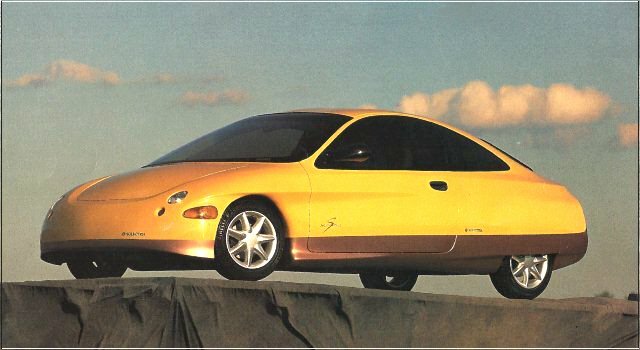 The Sunrise EV2 is a four-passenger pure electric sports sedan, designed to meet all the safety, performance, and comfort requirements of a modern state-of-the-art automobile. The original Sunrise was designed by Solectria Corp. using the Hypercar principles of Amory Lovins. It achieved remarkable efficiency and range, through the use of lightweight construction, innovative design, and superb aerodynamics. Unfortunately, only a handful were produced. Build a working prototype, that interested parties can see and drive. Test the design and verify performance. 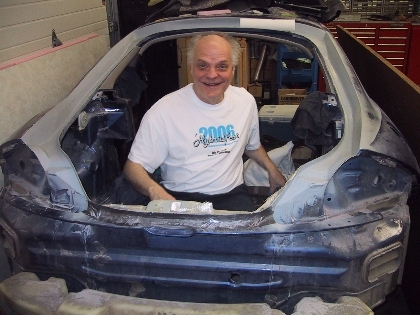 Publish plans, sufficient to build the entire car from scratch, just as we are doing now. Provide key components produced from our molds and tooling, such as the fiberglass body and welded chassis parts, to simplify construction. Produce parts kits and subassemblies. For example, all the major parts needed to build the wiring harness, body hardware, rear subframe, etc. Offer a complete car kit. Combined with generic parts purchased new and those from a donor vehicle, anyone who can handle a screwdriver and wrench could put it together. Someday, perhaps a fully assembled production automobile. I doubt we will get to this point for years, due to the costly regulatory requirements. Our goal is to make the Sunrise EV2 as modular and open source as possible; like a PC clone, where many different parts can be used, from many different vendors. We'll provide the basic "box". Builders can then use any motor, controller, batteries, charger, interior, and instrumentation they like. Depending on your budget and performance requirements, your Sunrise can be AC or DC, lead-acid or lithium batteries, etc. We look forward to having a community of Sunrise EV2 builders, where members can exchange ideas, buy/sell/trade parts, and assist others in building their cars. Check this website out occasionally to see how we're doing. Not much progress this past year. Interest in homebuilt EVs really collapsed since the automakers began selling their own EVs. And I've had some financial setbacks that have kept me from investing much more than my own time in the project. But hope springs eternal. Perhaps the new leadership in Washington will mean another collapse in the automaker's interest in EVs (as it did in the year 2000). Maybe there will be a rebirth of interest from people who want to build their own car; one that they can fix themselves without being beholden to Big Auto or the vagries of the government. There's nobody left to work on the Sunrise EV2 but Igor and I. But, I broke down and bought a gas furnace for the garage. Hopefully we can make some progress over the winter! 1802: 2018 was the RCA VIP home computer's 40th anniversary. For last year's Vintage Computer Festival Midwest in Chicago IL, we built a reproduction of the VIP... in an Altoids tin! The original RCA VIP is on top of the monitor; and the tiny VIP2K is sitting below it (hiding under its ASCII keyboard). Details and information on ordering the VIP2K are here. 6502: Last year was the 40th anniversary for the Apple ][, Commodore PET, and Atari VCS home computers. 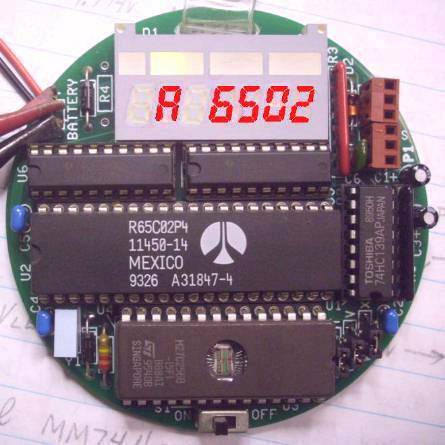 In honor of the occasion, we designed a 6502 Badge for VCFMW. It's a working 6502 computer, complete with BASIC, on a 3" badge. 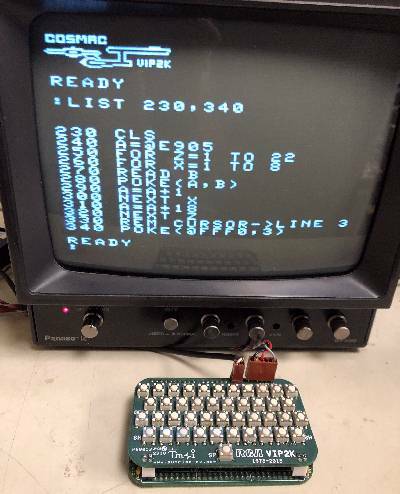 Z80: The Z80 Membership Card is now running the CP/M operating system! The Z80-SIO Card adds more RAM, a real UART, and a micro SD-card socket that simulates disk drives. EV: Added Battery Balancer documentation. EV: Added video of the Sunrise in action, and photos of the Solectria Sunrise and the development team. EV: Updated the Motor Controllers page with documentation on the Rectactor (Henney Kilowatt) EV motor controller. 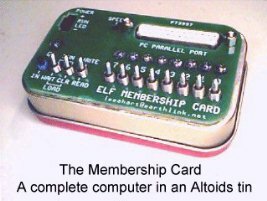 1802 Membership Card computer rev.J2 is out. Just a few minor tweaks and improvements over the earlier versions. The only functional change is to replace the 4093 with a faster 74HC132. This allows higher clock speeds for you overclocking fanatics. Thanks to the work of Chuck Yakym, Ed Keefe, and others, we have BASIC3 running. This is RCA's 1981 floating-point BASIC for the 1802, comparable to Microsoft BASIC of the time. The Membership Card was reviewed by Stephen Cass in the March 2015 issue of IEEE Spectrum magazine. The April 2015 issue had Part 2 in the series. 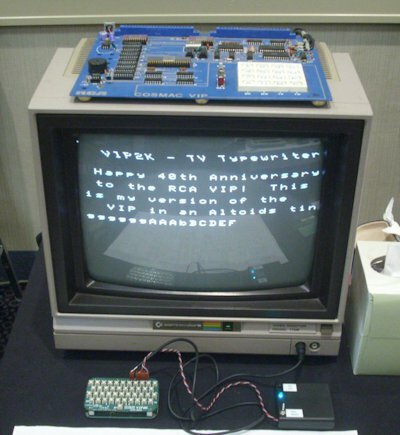 2016 was the 40th anniversary of the "Elf" computer articles in Popular Electronics magazine. 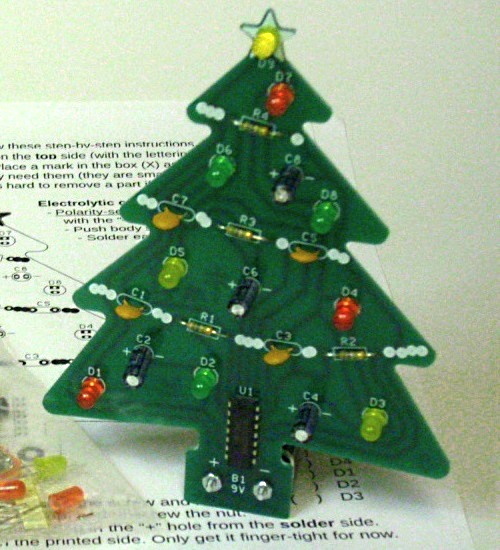 To celebrate, we made this reproduction of the original Elf computer. True to the original, it was entirely built with wire-wrap (no soldering at all)! The Face Card was featured on the Hackaday website, and on Jeff Duntemann's Contrapositive Diary blog. 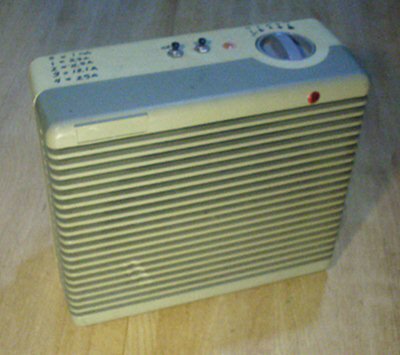 It displays an animated face with the 1802 retrocomputer. I built this model of the Galileo spacecraft for the 1802 booth at the Midwest Vintage Computer Festival. Like the original, it uses an 1802 microprocessor to send data. If you work with EVs, you need a way to test batteries. I've used all sorts of setups over the years, ranging from jury-rigged parts from my junkbox to sophisticated systems like my Battery Balancer. There are also commercial products, ranging from cheap junk for testing hobby R/C batteries to very expensive professional-grade systems. I think the most useful ones have been my home-made load testers. They are simple enough to be cheap and easy to build. They are rugged enough to handle high current for long periods of time. Best of all, I know what they are doing, so I know what the test results mean. I've described them before on the EV Discussion List, but here's a more complete description in case you'd like to build your own. A big load resistor to discharge the battery. A fan to get rid of the heat. A big switch or relay to connect the load to start the test, and disconnect it at the end of the test. A voltage detector to set the starting and ending voltages. Instrumentation, to measure and record what happened. A box to put it all in. The left picture is the view inside. The heatsink with all the resistors is in the middle. A 4.7" square 12vdc fan is hidden behind it. The CHARGE and DISCHARGE buttons are at the top, and the FAN switch to set the load current is on the top right. The relay is the black box at the right, with a 30 amp circuit breaker just below it in case anything goes wrong. Voltage is sensed by a modified Manzanita Micro "Rudman Regulator" (barely visible at the bottom of the case). These are normally used to balance or equalize 12v lead-acid batteries. It switches a 7.5 ohm load resistor across the battery if it exceeds a "fully charged" voltage set by a trimpot (i.e. 14.8v). It switches off when the voltage drops about 50 millivolts from this. I modified an old "rev.A" Rudman Regulator to make its turn-off adjustable with a trimpot to a "fully discharged" voltage (i.e. 10.5v). I also added a pair of pushbuttons to manually switch it ON and OFF. The modifications are very simple; only few parts are added. 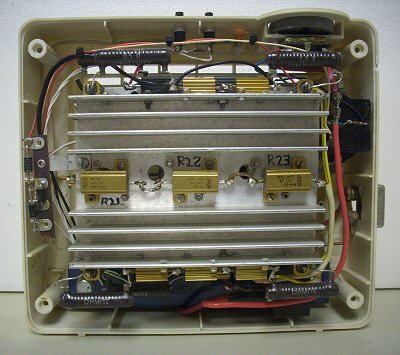 The relay coil is wired to the regulator's external load terminals. The regulator's 7.5 ohm load resistor was removed (they tend to burn up). The relay contacts switch the battery between the charger and the load resistors. In operation, the regulator switches the battery to the charger until it reaches the "fully charged" voltage; then to the load until it reaches the "fully discharged" voltage; and then repeats. Instructions: See photo. The lower board is an unmodified rev.C board. The top board is a MODIFIED Rev.A board. The red wire in the photo comes from the junction of R5 and D4, and goes to the connection between R27 and S3 (which are remotely mounted). Remove LP1, the on-board 7.5 ohm resistor (it will burn up if used continuously). Wire the coil of relay K1 to J3 and J4 (the external load terminals), or to the connections for LP1 if the board does not have J3 and J4. Connect D5 across the coil of K1. The banded (cathode) end goes to J3 or POS end of LP2. Find R5 (1 megohm) on the Rudman Regulator board. It is right next to R2, the high voltage adjustment trimpot. The inboard end is the one farthest from the edge of the board. Connect CHARGE pushbutton S3 between the inboard end of R5 and J2 (the NEG terminal). Connect DISCHARGE pushbutton and 1k resistor R27 in series between the inboard end of R5 and J1 (the POS terminal). Connect diode D4 and trimpot R25 in series. Then connect them across the ends of R5. The banded (cathode) of D4 goes to the inboard end of R5. I mounted D4 and R25 on a little piece of perf board, and bolted it to the board in the example shown. Simplified Schematic: Click here for the complete schematic in PDF format. Instrumentation: I used a Cruising Equipment / Heart Interface / Xantrex "E-meter" with RS-232 port, and an old XT PC computer for data logging. A digital multimeter with RS-232 port could serve as well. I wrote a QuickBASIC program to display, print, and save the data to disk. I built this setup over 20 years ago, and still use it regularly! Click here for my QuickBASIC program to print, graph, and log data from the E-meter / Link-10. Operation: Connect a battery, and a charger. Set up the computer to log the data (or use a clipboard, pencil, clock, and meter). Set the FAN switch for the desired discharge current. Press the CHARGE button. The Rudman regulator thinks the battery has fallen below its lower limit, and turns off. This drops out the relay, which in turn connects the charger to the battery. The charger charges the battery. When the battery reaches 14.8v (or whatever you set with the original trimpot on the board), the regulator turns on. This pulls in the relay, whose contacts disconnect the charger and connect the load resistors. The load resistors discharge the battery. When the battery reaches 10.5v (or whatever you set with the new trimpot), the regulator turns off. The relay drops out, which disconnects the load and connects the charger. The charge-discharge cycle repeats continuously. Or, turn off the FAN switch while charging to end the current cycle with the battery fully charged. Or turn off the charger while discharging to end with the battery fully discharged. A great 2-minute summary of recent EV sales in the USA. Sales have reached about 50,000 per year, which is 0.67% of the market... but growing very quickly. Automakers are again considering a higher voltage replacement for the traditional 12v battery. The last time, it was to 36v (called "42v"). This time it's to 48v, to allow cheaper gas/electric hybrids. Multi-step charging algorithm extends life of lithium cells. Lithium cells are usually charged with simple constant-current constant-voltage chargers. We've known for years that other battery chemistries (lead-acid, nicad, nimh) benefit from more complex multi-step charging algorithms. This data suggests that lithium cell life is also improved by such algorithms. And this one is just for fun. Electric dragsters need arc-n-spark shows. Interested? Want to get involved? There are several ways you can help. Contact us: Questions or comments? Corrections or problems with this web site? Contact Lee A. Hart by phone at (320) 656-9574, by email, or by mail at 814 8th Ave N, Sartell MN 56377-2240. Design: Producing the best possible EV requires the best possible minds. The Sunrise EV2 development team has over 100 years of combined EV experience, but we are still learning and improving as we go. If you have ideas for improvements, can help with vehicle design, construction, or testing; or have skills you think we can use, please contact us! Labor: The Sunrise EV2 prototype is being assembled at our shop in Sartell MN. At present, we are building our prototype composite body and the molds to produce it. It's very labor intensive, so if you're in the area and have some time, please contact us about a visit. See and help build the prototype, and in the process learn how to build your own Sunrise EV2. Components: Most of the parts and materials to build the Sunrise are being donated by our development team or interested individuals. Our motor, controller, and innumerable tools and shop time have been provided, but there is alway more. Do you have any EV related parts that could be of use? Contact us and see! Donations: Developing a car is an expensive project. The project is entirely funded by our development team and donations from interested individuals and businesses. Donations will be credited toward future purchases of Sunrise EV2 products. Contributors are also given special attention by members of the EV2 team! Send donations to the Sunrise EV2 Project c/o Lee A. Hart at the above address. To contribute using Mastercard Visa or Paypal, use the "Donate" button below. Every penny helps! Go to TOP of this page ................ Questions? Comments? Want to help? CONTACT US! Web hosting provided by Innovative Computers.